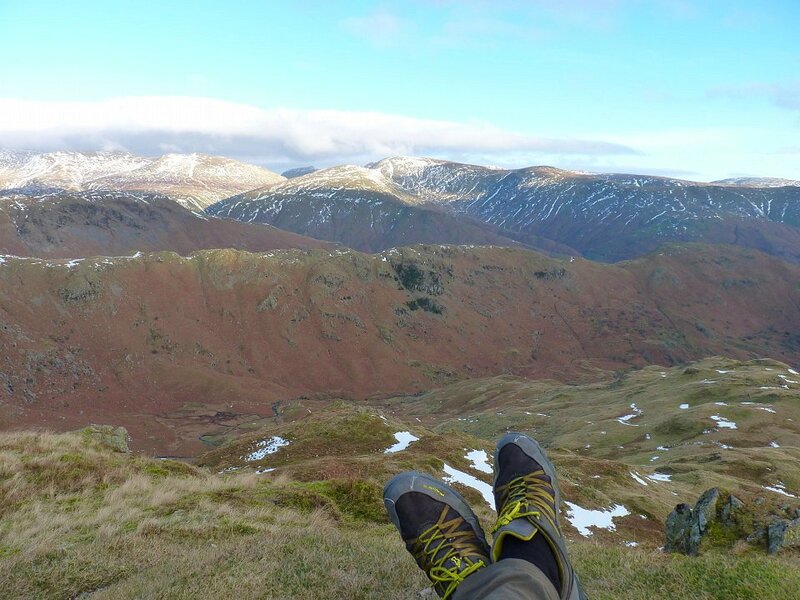 I could not get to the Lakes last week so I had to be content with viewing the many excellent trip reports of epic adventures in the snow. 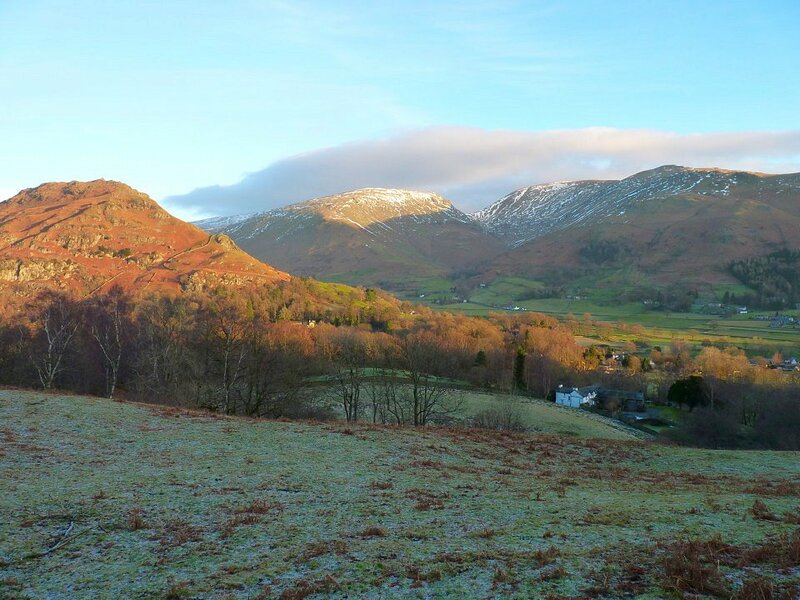 Most of the snow had melted when I finally did get to Grasmere but there was still enough around to give a nice definition to the higher fells. 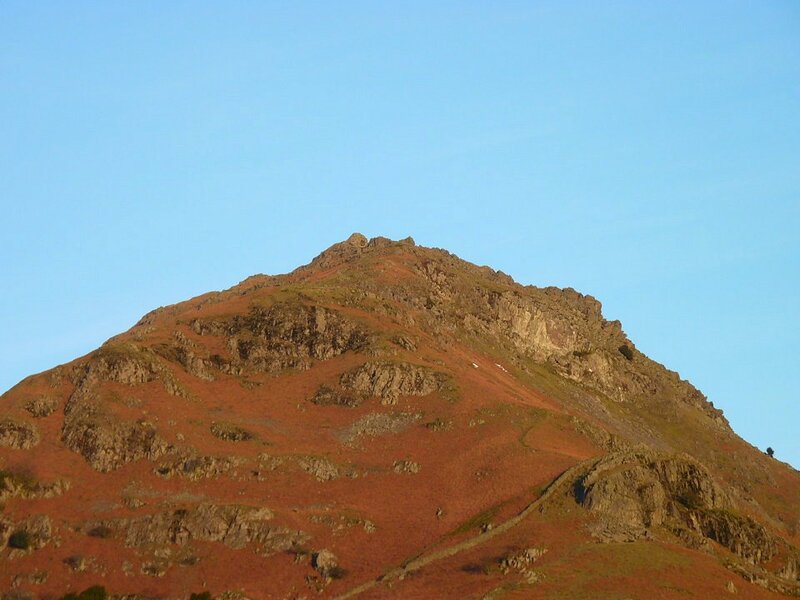 Helm Crag from Allen Bank. 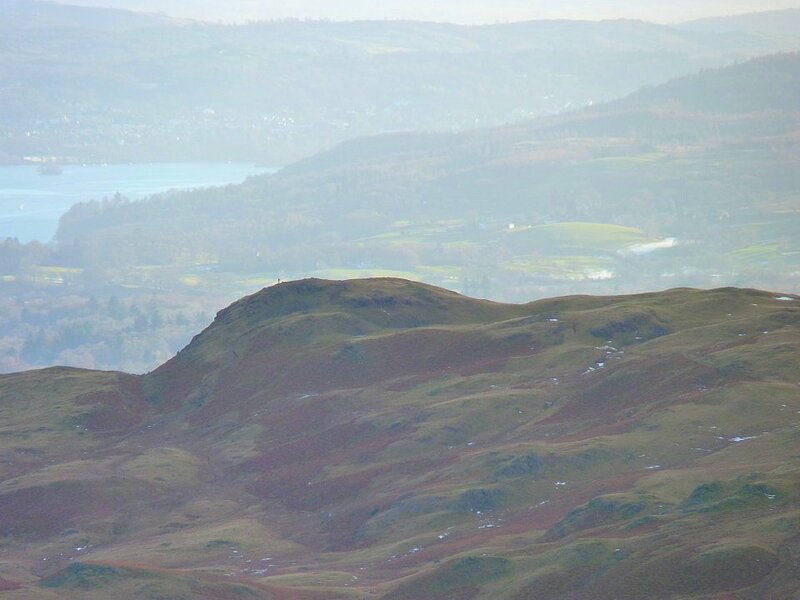 Zooming in on the Lion and the Lamb. 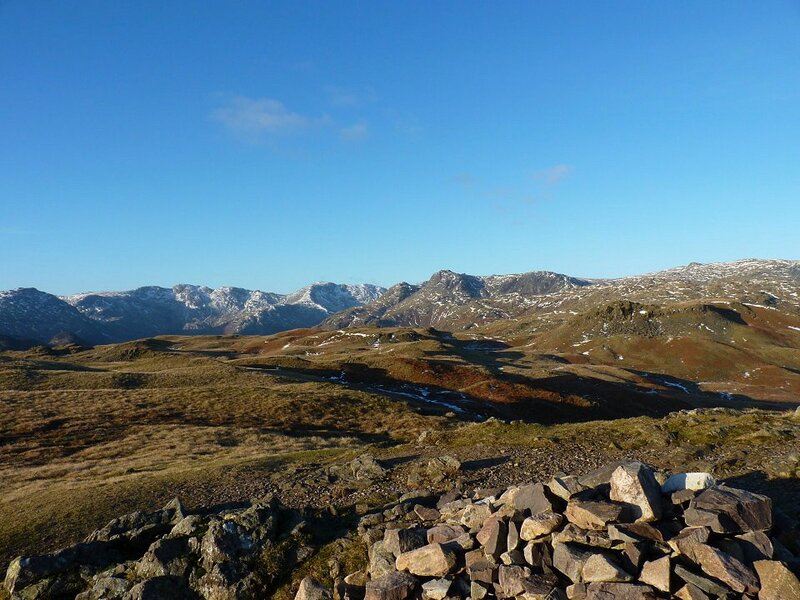 Looking accros to Seat Sandal and Fairfield. 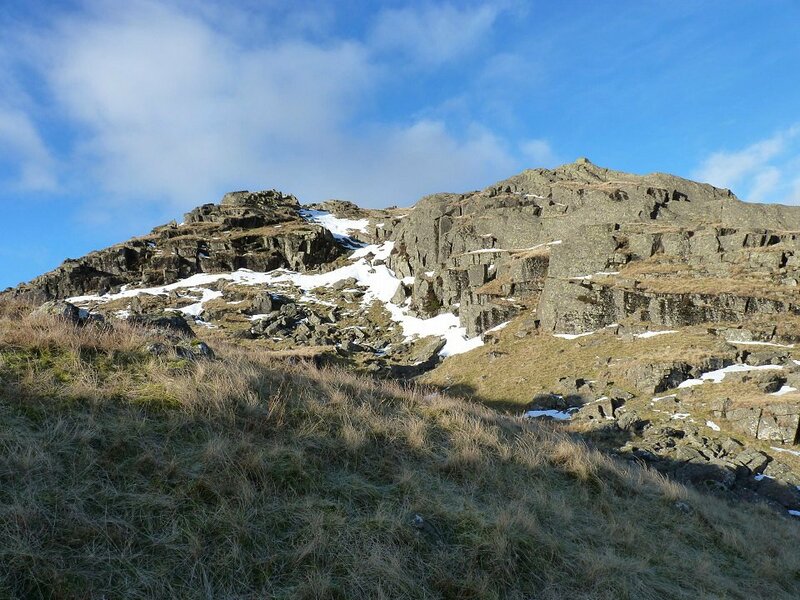 Stone Arthur and the "left" leg of the Fairfield Horseshoe. 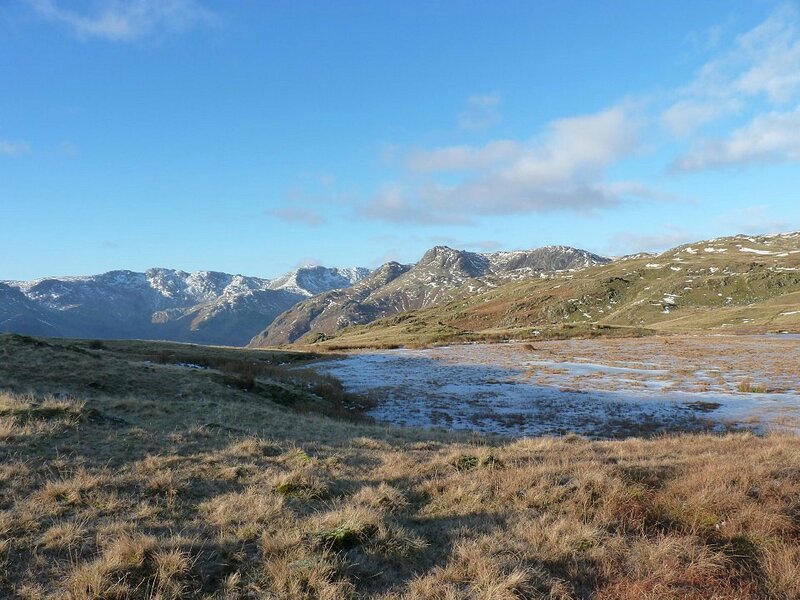 On Silver How now and the fells around the head of Great Langdale come into view. 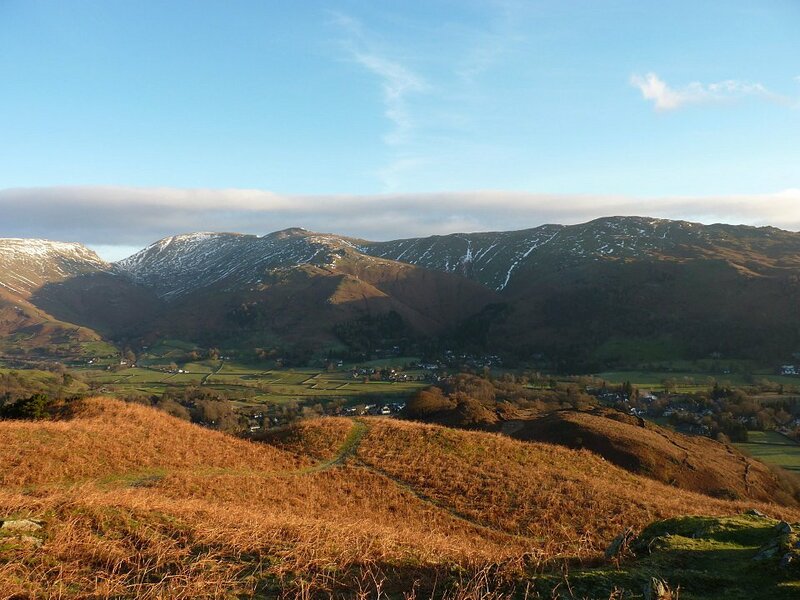 The ground was frozen so the the walk along to Blea Rigg was even easier than usual. 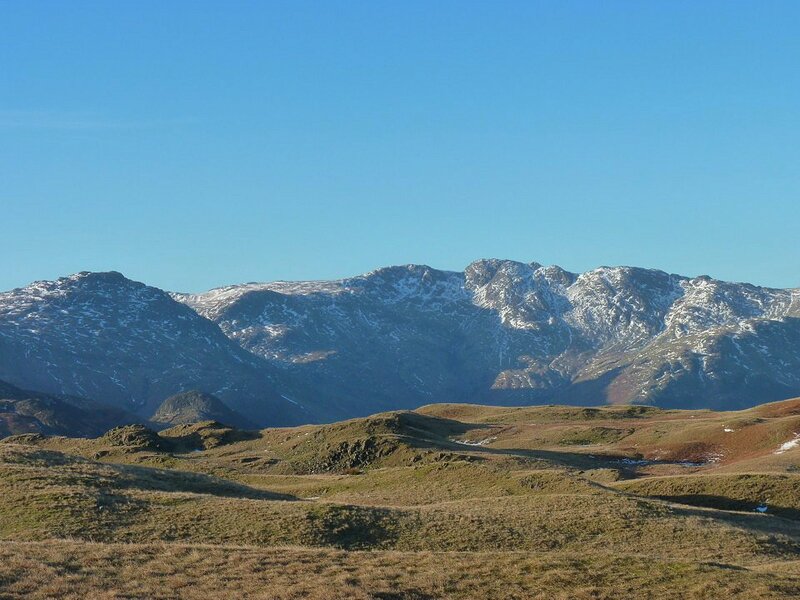 The Langdale pikes from the the tarn at Lang How which was fuller than I have seen before. 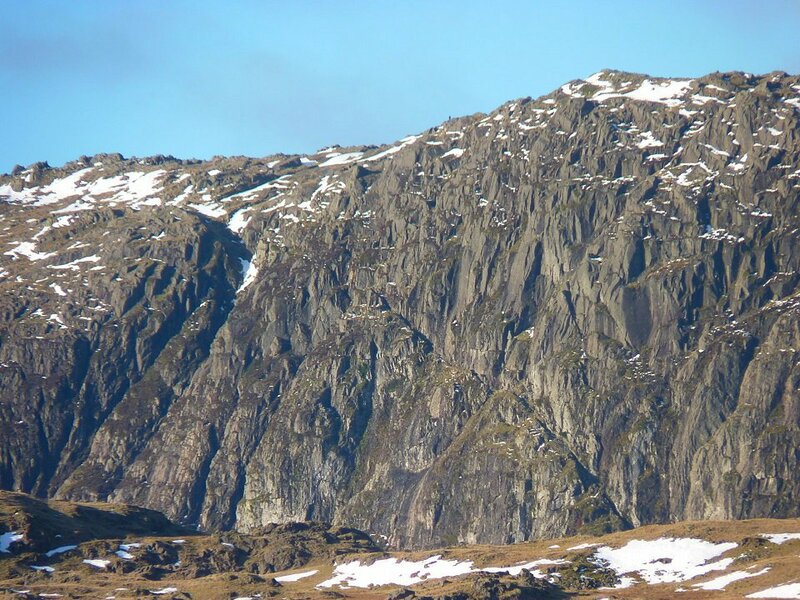 Looking up to Blea Rigg. 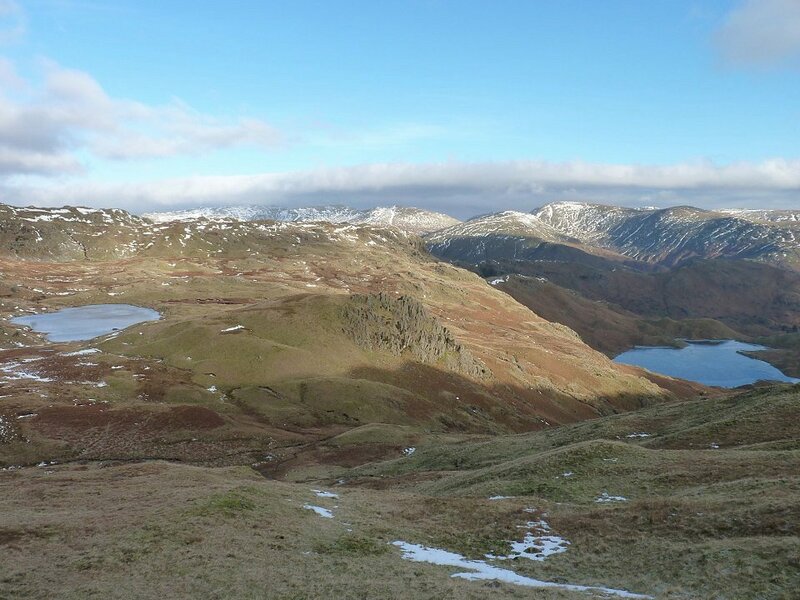 Looking back to Silver How as I climbed back up to Tarn Crag. 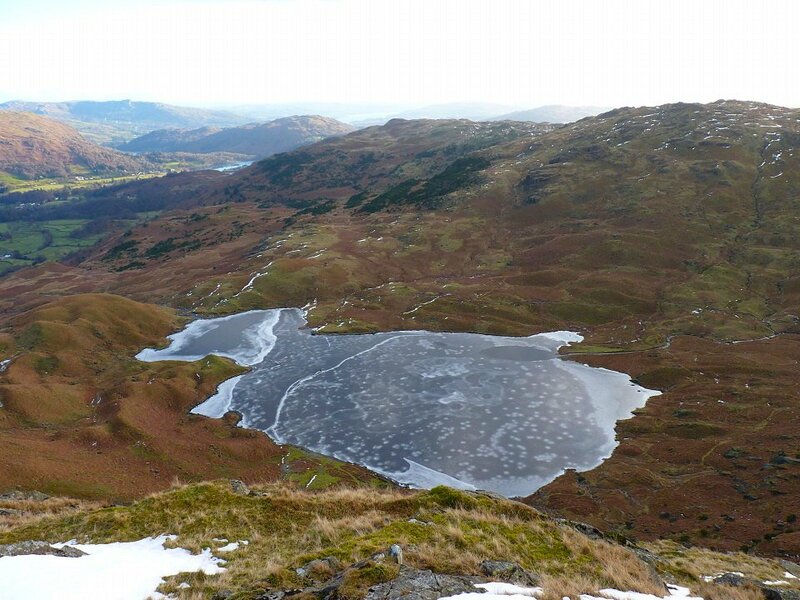 The day had warmed up nicely now and I had a leisurely lunch admiring the view from Tarn Crag. 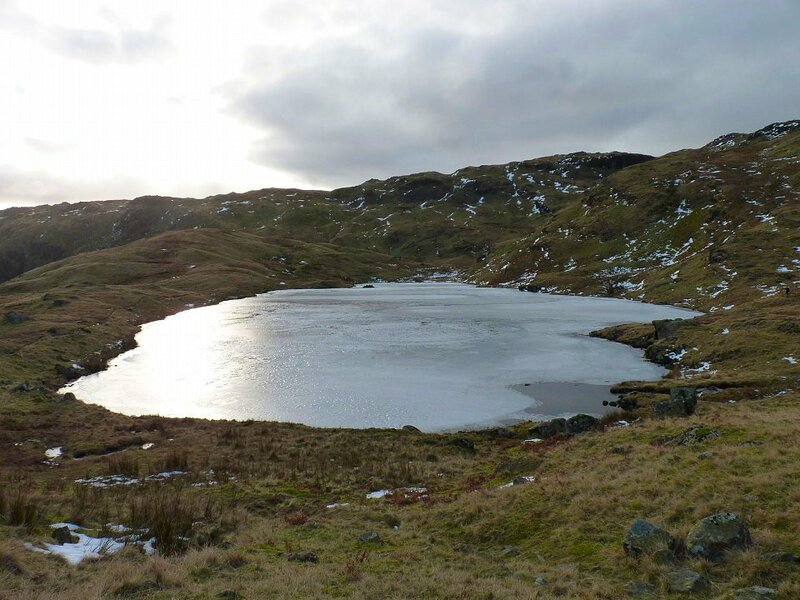 After lunch I dropped down of the ridge to visit Easedale Tarn. 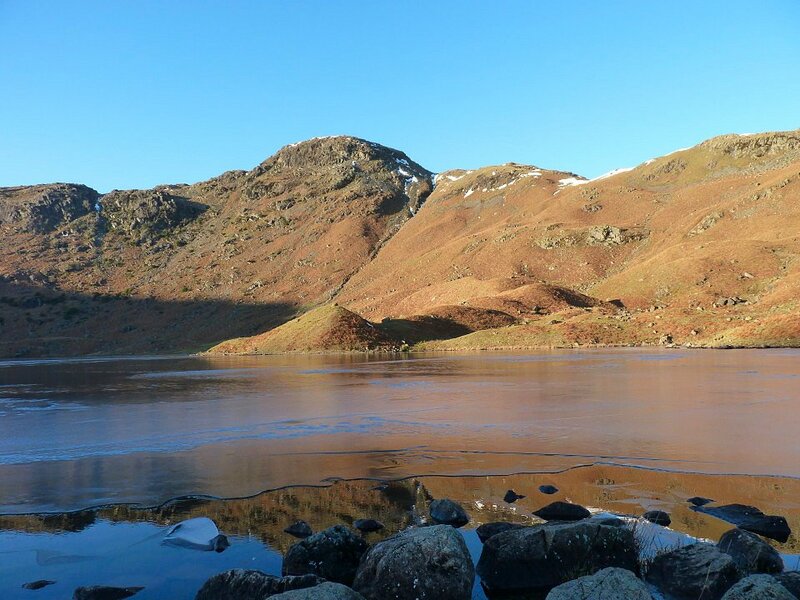 Looking across the tarn to Tarn Crag. 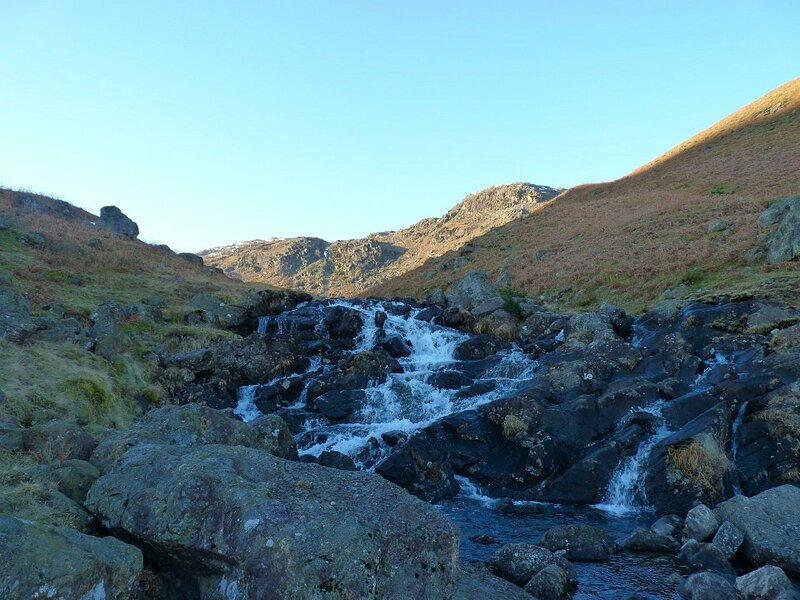 Sourmilk Gill, the out flow of Easedale tarn. 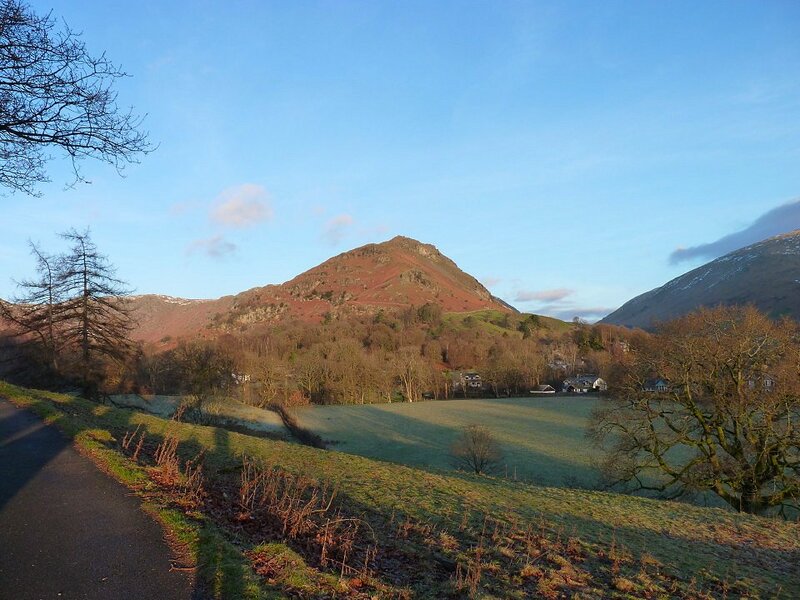 I followed the easy path down to Grasmere and as I drove home a great day was made even better when I heard that Bolton had beaten Blackburn 2-1. What a great Day!